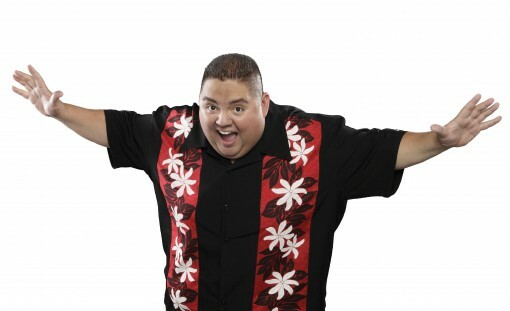 Gabriel Iglesias better known to fans as Fluffy is making his way to Malaysian shores! The comedian is one of America’s most successful stand-up comedians, and has performed to sold out concerts around the world. He is currently on his latest concert tour – #FluffyBreaksEven! This tour will mark Gabriel’s first visit to Malaysia as he tickles our ribs on 5th June 2016 at Sunway Pyramid Convention Centre. Tickets for the show will be available to the public from Saturday, 16th April 2016 at 10:00 AM (GMT+8) through Ticketpro Malaysia. Tickets can be purchased online through Ticketpro’s website (www.ticketpro.com.my) or at Ticketpro’s outlets, with tickets ranging from RM138 to RM438. Customers are reminded that a maximum of 10 tickets will be allowed per transaction. It is advised that #FluffyBreaksEven Tour is made available for audience who are 15 years old and above. 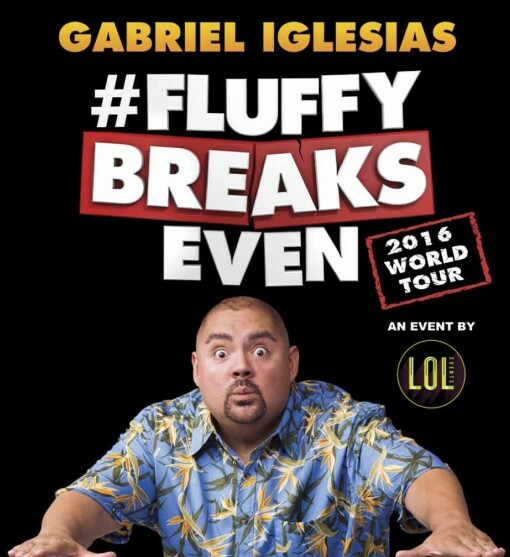 Pre-sale tickets for the ‘#FluffyBreaksEven! Tour’ show in Malaysia will be available for some lucky fans through Ticketpro’s website on Wednesday, 13th April 2016 from 10:00 AM (GMT+8). Fans will be able to access a limited amount of tickets which includes front row seats with the use of a specially promoted promo code. Born in Chula Vista, California, Gabriel Iglesias is the youngest of six children, raised by a single mother. Growing up, the family lived in Section 8 housing in Long Beach, CA. It was during his childhood that he developed a strong sense of humor to deal with the obstacles he faced. In 1997, he set out to hone his comedic skills, and performed standup anywhere he could find an audience; including biker bars and hole-in-the-wall joints. Gabriel’s stand-up comedy is a mixture of storytelling, parodies, characters and sound effects that bring his personal experiences to life. His unique and animated comedy style has made him popular among fans of all ages. Iglesias is one of America’s most successful stand-up comedians, and performs to soldout concerts around the world. He recently had the distinct honor of being one of the few comedians to headline and sellout Madison Square Garden in New York, The Microsoft Theater in Los Angeles, and The Honda Center in Anaheim. Iglesias is currently on the road for his #FluffyBreaksEven concert tour! In 2015, Gabriel co-starred with Channing Tatum in Warner Bros’ Magic Mike XXL, reprising his role as Tobias. Gabriel lit up the small screen on the ABC sitcom Cristela and is currently working on his own semi- autobiographical ABC pilot titled The Fluffy Shop. Other feature film credits include co-starring roles in A Haunted House 2, and his voice can be heard in numerous animated films including Norm of the North, The Book of Life, The Nut Job and Disney’s Planes. Gabriel also starred in the theatrical stand-up concert comedy film, The Fluffy Movie. For the past three years Comedy Central has aired Iglesias’ hit series Stand-Up Revolution. The cable network also premiered Gabriel Iglesias: Aloha Fluffy in an unprecedented two-night comedy special to over 15 million viewers. The special was a follow-up to his previous DVD specials, Hot & Fluffy and I’m Not Fat…I’m Fluffy, which have sold a combined total of over 2 million copies. He plans to tape his next hour long comedy special later this year. 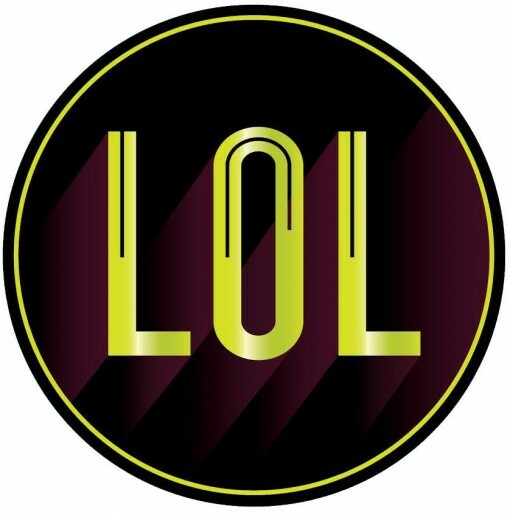 LOL Events began its foray in the comedy scene since 2009 with the highly successful ‘The Comedy Club KL’ shows. They then extended their range of comedy shows by producing the LOL Comedy Stars Series, Laugh Off Asia, Comedy Kao Kao and Kings & Queen of Comedy Asia. In over 6 years, they have hosted over 100 globally proclaimed comedy acts such as Jeff Dunham, David Blaine, Maz Jobrani, Ahmed Ahmed, Danny Bhoy, Kumar, and Sugar Sammy. Their latest mega show was the highly successful Russel Peters – Almost Famous World Tour organized in Kuala Lumpur. They have also successfully organized their first comedy festival called LOL Fest and have opened South East Asia’s biggest comedy club called LOL @ Live House in TREC, KL.